Mcdonald’s Invites Customers To Try The Big Mac Like It’s Their First Time All Over Again, In New Campaign By Leo Burnett London. 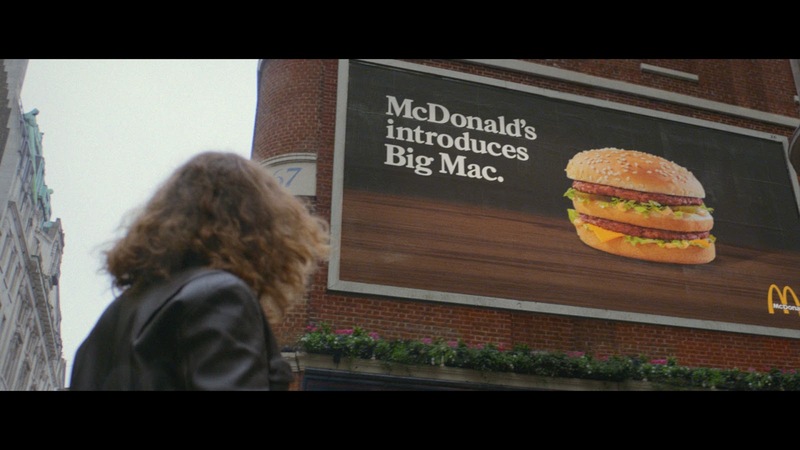 A new ad campaign created by Leo Burnett London takes viewers from the 1970s to the present day, celebrating 50 years since the first ever appearance of McDonald’s Big Mac. The campaign seeks to remind customers of how much they love a Big Mac, as well as encouraging those who have never tried a Big Mac to taste one for the first time. Also it highlights the introduction of two limited-edition promotional burgers – the Mac Jr, a single patty version of a Big Mac; and the Grand Big Mac, a bigger version with a larger bun and two bigger patties. The ad revisits everything from fashions and hairstyles to cars throughout the decades. At the same time, it presses viewers’ nostalgia buttons by reminding us of the changes that McDonald’s has made to its restaurants, packaging and even its typefaces over the years. An adventure back in time, it provides a window back to some much-loved eras. The ad concludes with a father and son trying the new promotional burgers together in present day, reminiscing and agreeing over the fact that the unique Big Mac taste still remains as satisfying and enjoyable as it was the first time - ‘still good’! The work runs in the UK and Ireland and is backed with print, digital, press and social activity. To mark the occasion, McDonald’s is also taking over the iconic Imax out-of-home advertising slot at London’s Waterloo for the first time. The television ad is soundtracked by INXS’s 1987 hit ‘New Sensation.’ Available now on Apple Music.